Sydney venue identity Mark Gibbons has been appointed as Head of Bookings for the nearly-completed Fortitude Music Hall in Brisbane. 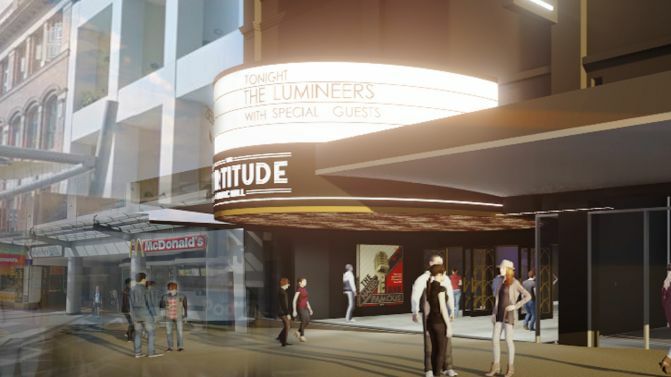 Located in Brunswick Street Mall in the heart of Fortitude Valley – Brisbane's foremost music destination – The Fortitude Music Hall will pay homage to iconic Brisbane venue Festival Hall which occupied the space from 1959 to 2003. The 3,000 capacity venue is a joint venture between Secret Sounds, Live Nation, and the Triffid team and is set to open mid-2019. With Gibbons' appointment, he brings to the team six years of experience booking Sydney rooms including Enmore, Metro, and Factory Theatre. He takes on the role from Monday 4 February. "With the rapid growth and changes Brisbane is undergoing, there's a clear need in the city for a 3000+ capacity venue,” he says. “Working at Century Venues has taught me how important these spaces are to the fabric of the community around them. I believe that a city is only as strong as its culture."